Author Carl R. Brush and co-author, the late Bob Stewart, offer readers strong female characters set against a background of America’s near distant past. Bold, courageous and unyielding, these characters are more than pawns in glorious set pieces: they are blood-warm, authentic and real in worlds not readily different from our own. Meet Bonita. Often reckless, often victimized, a deeply spiritual person who transforms herself from a rebellious adolescent into a prominent entrepreneur. When we meet her as a twelve-year-old in 1843, her future looks idyllic—a privileged life on a hacienda over looking San Francisco Bay. But her penchant for eavesdropping and her feisty willfulness wreck everything. She learns that she’s not who she’s been told she was, and she strikes out on her own to discover the truth. Along the way, she becomes immersed in the swirl of historic events that surrounds her—the Mexican-American war, the gold rush and California’s drive for statehood. An intense romance both complicates and enhances her quest. Her search and its discoveries create fresh challenges, challenges she meets with the originality and boldness that by that point we’ve come to expect of this extraordinary woman named Bonita. original Yellow Rose of Texas, and her story is intertwined in song and legend with the Texas Revolution of 1836; the revolution that, unique among the fifty states, made Texas a nation before it joined the union. The Yellow Rose supposes that Emily and Sam Houston, the hero of the revolution, not only collaborated in certain events that gave the Texans victory, but became lovers in the process. No one knows for sure if Emily met San Houston or if she participated in the revolution at all. On the other hand, no one has proved the contrary. So, The Yellow Rose asks, What if? 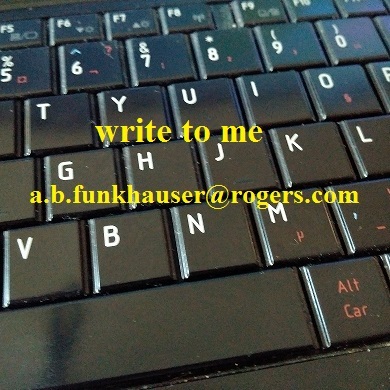 I’ve been writing since I could write, which is quite a long time now. I grew up and live in Northern California, close to the roots of the people and action of three of my historical thrillers, The Maxwell Vendetta, and its sequel, The Second Vendetta, which take place in 1908-10 San Francisco and the high Sierra. The third of the trilogy, Bonita, is set in pre-gold-rush San Francisco. A fourth in the series is on the way. For The Yellow Rose I made a literary jump from California to Texas, where my co-author, the late Bob Stewart, dwelled. It’s a tale of the Texas revolution and an imagined affair between Sam Houston and a legendary mulatto woman, Emily West, who is best remembered as the original Yellow Rose of Texas. I have had shorter pieces published in a number of different publications. You can find those on my website Carlrbrush.com. They’re fun. Check them out. You can find me living with wife in Oakland, California, where I enjoy the blessings of nearby children and grandchildren. On Facebook, Bob Stewart, called himself “Writer Bob Stewart,” and it is an apt title. Bob died shortly after completing The Yellow Rose, which he co-wrote with Carl Brush. But proud as he was of this novel, it was only the latest work in a career that covered decades of literary toil and produced millions of words. He was a long-time journalist, based in San Antonio, whose pieces were also published in such national publications as People Magazine. He interviewed literally thousands of people, both famous and infamous, ranging from presidents to serial killers to movie stars. In addition to his journalistic credits, Bob wrote two scripts for the popular TV show, Gunsmoke. Later, he began a career as an author, publishing four non-fiction works, Man to Man: When the Woman You Love Has Breast Cancer; Sacrifice; Revenge Redeemed; and No Remorse. In recent years, Bob enjoyed publication of three fiction novels: Alias, Thomas A. Katt, Hidden Evil, and First Born. The Yellow Rose was his first historical novel. Just a note of thanks thanks thanks for your spirited post and promotion. Plus, very nice getting to know you a little. Long may you flourish and prosper. My pleasure, Carl. I look forward to reading Bonita!